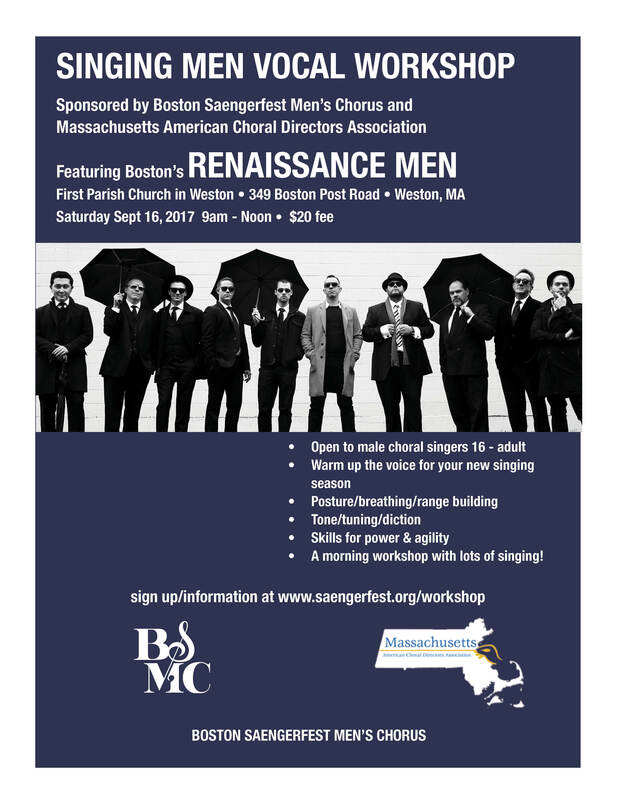 Thank you for participating in the recent SINGING MEN VOCAL WORKSHOP hosted by the Boston Saengerfest Men’s Chorus and the Massachusetts American Choral Directors Association and featuring Renaissance Men. We hope that it was a useful and enjoyable experience for you. The Renaissance Men have made their workshop slides available to our participants (see below). a. What element or elements of the workshop were of greatest value to you? b. Do you have recommendations about content, format or presenters that we might take into consideration for future workshops? 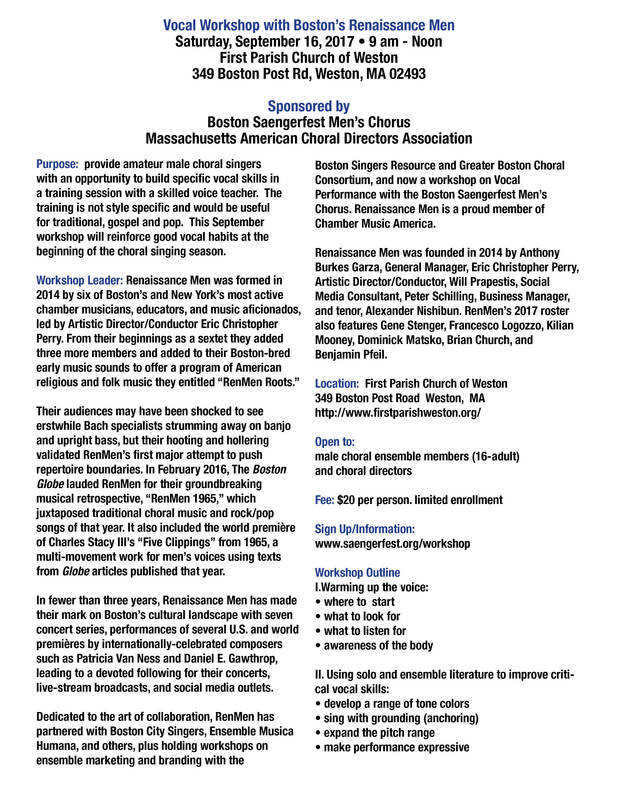 Best wishes for a fine season of singing! Here are the slides from the workshop (click here).